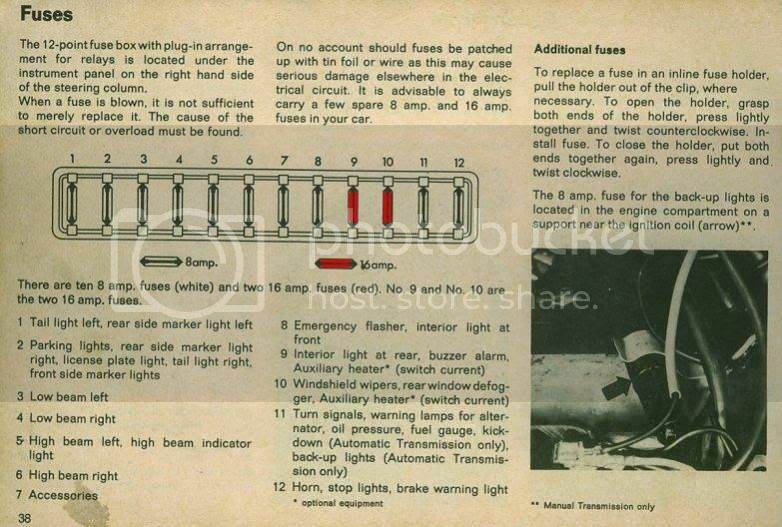 Fuse box layout for 1979 Type 2? 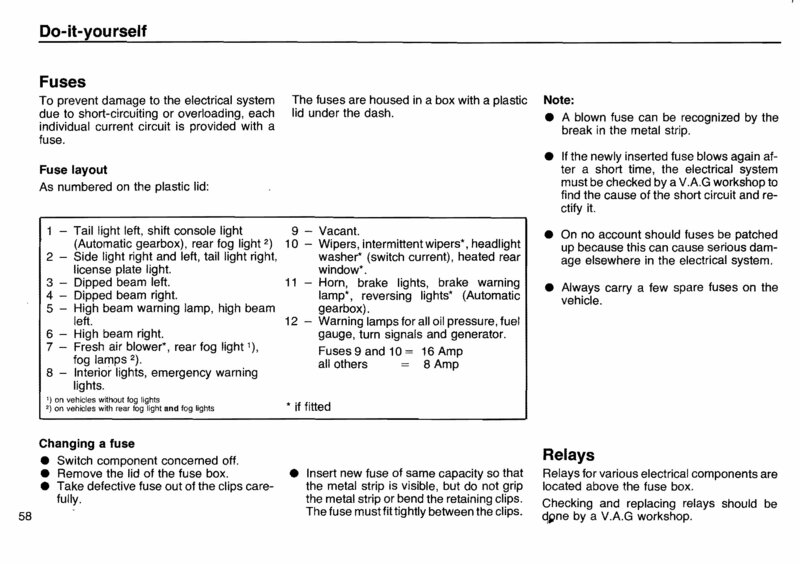 Discussion in 'Mech Tech' started by Richy, Apr 12, 2013.
has anyone got a simple left to right fuse box layout for a 1979 T2, with fuse ratings and what each one does? Thanks! I would love a copy too! _ I am having trouble with washer motor and wipers and fuses and ratings would be handy! Numbering is from left to right and only 9 and 10 are red 16amp - the rest are white 8 amp. You fellows need to get a workshop manual - can't own a van without one . Just resurrecting this thread (it is Easter) but working on the van today I noticed the fuel gauge wasn’t working so wondered about the fuses, noticed one has gone then when I came to check the order it doesn’t look like mine. Would there be any reason why different fuses be in these slots? A previous owner not having a clue, most likely. Iain McAvoy, 77 Westy, Bigherb and 1 other person like this. Not dissimilar to the current then! Dont pull the blue fuse ! Actually that one is definitely an imposter.